Baltimore City Inspector General Robrt Pearre Jr has said he is starting an investigation into Baltimore City's speed camera program. Pearre said his investigation will encompass work done with Xerox State and Local Solutions and Brekford Corp., the city's two speed camera vendors since 2009. "It's going to be a comprehensive investigation," he said. "We're going back to the beginning. It's going to have a broad scope." The announcement comes as the council committee awaits the production of reams of speed camera records from Mayor Stephanie Rawlings-Blake. Pearre, a former FBI agent, said he plans to "reach out to the council and try to collaborate." The City Council is conducting their own investigation. Some members of the council have expressed shock that the the Mayor chose to keep the Audit's findings from the council, asserting that a legal agreement with Xerox forbid the city from releasing it. The document became public after a copy was leaked to the Baltimore Sun, despite the city's refusal to provide it to the paper. The errors with the city's cameras included citations issued to stationary vehicles, and tickets accusing large trucks of traveling twice their actual speed... as proven by videos. Based on the number of tickets issued by Baltimore City and the 10% error rate found in the secret audit, as many as 70,000 wrongful accusations could have been made in a single year. Despite the investigation, the Mayor is still moving ahead with plans for a new speed camera program, having hired a consulting company to perform "site evaluations and engineering assessments" for new speed camera locations. This contract was given to Century Engineering of Hunt Valley. 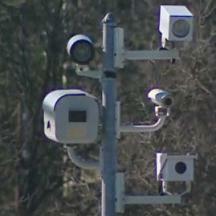 The issues in Baltimore and elsewhere in the state prompted several speed camera bills which were heard by a committee in the state legislature last week. However Committee Vice Chair Delegate Malone openly stated at the very beginning of this hearing that only the bill which he had sponsored (HB929) would be allowed out of his committee. In the Transportation and Motor Vehicles subcommittee meeting after the hearing, Malone expressed the opinion that motorists should not complain to the state legislature if they have issues with a local speed camera program. The Sentinel quoted Malone as saying “I am confident that between those people, if I have a problem it will get taken care of, if there is a problem in Baltimore City, Baltimore City’s delegation can take the appropriate action to get what they need to get, in my opinion.” Malone asserted that a motorist who had come to the hearing with complaints about the Town of Morningside's program should have taken his concerns up with the town's mayor (which that motorist had in fact attempted to do, without success) rather than bringing them to the legislature. The Maryland Drivers Alliance noted in their testimony on HB929 that it contained loopholes which would prevent it from having the effects its sponsors claimed, and that it contained no requirement for a means to identify errors and therefore didn't address problems which had prompting calls for reform. The bill "grandfathers in" exiting contract arrangement until 2017, giving it little immediate effect. A stronger reform bill sponsored by Delegate Jon Cardin was promptly voted down by the Transportation Motor Vehicles Subcommittee, as was a bill to repeal speed cameras sponsored by Delegate Smigiel, and several other reform bills. Proposed requirements for "secondary evidence" to identify the presence of errors were summarily rejected. Malone and co-sponsor Delegate McMillan did leave open the possibility that their reform bill could still possibly be amended to include some form of audits, but claimed no state agency wanted to accept that responsibility.